Joseph Then is a professional ventriloquist who never fails to entertain the crowd with his wacky puppet characters. 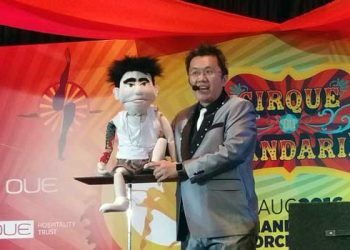 Known as “The Funniest Ventriloquist In Town”, Joseph’s wide variety of puppets and innovative ventriloquism acts make his show a unique show piece. Joseph’s hilarious (but clean) sense of humor coupled with the puppet’s antagonistic behavior, Joseph brings in fun and laughter throughout the entire show.